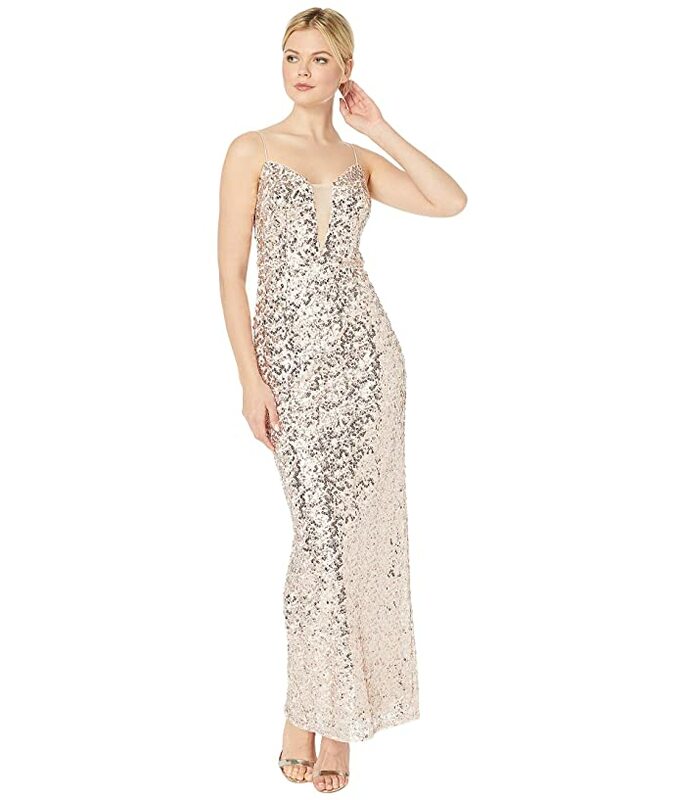 Shine brighter than the stars in this Adrianna Papell® Sequin Column Evening Gown. 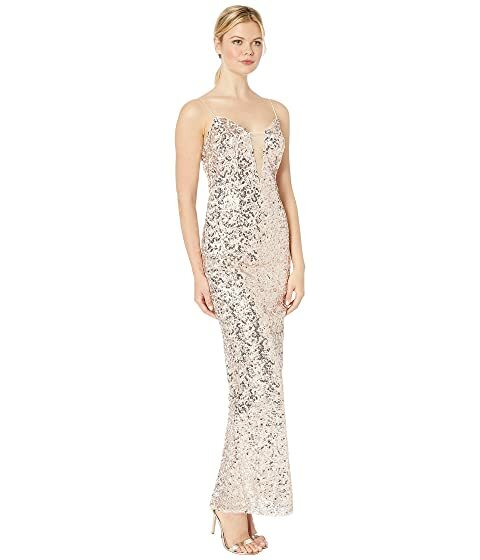 Sleeveless evening gown in a column silhouette. Shimmering sequins all over a poly fabrication. Sweetheart neckline and fixed spaghetti straps. Illusion panel at front of bodice.